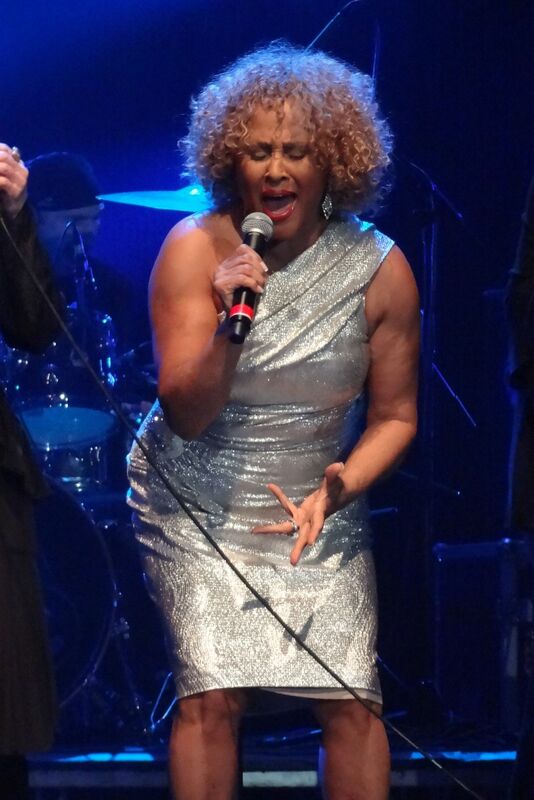 Now considered one of the greatest voices in rock history, Ms. Darlene Love tours as the headline after years in obscurity as the voice behind Phil Spector's "Wall of Sound". The shot captures her belting out a tune with everything she has. Taken at Montgomery College, Rockville, MD. Date Uploaded: Dec. 7, 2015, 6:12 p.m.